It would be hard for someone to argue against the statement that Portland has its quirks. When you throw in​ creative individuals who desire a strong sense of community, you get magic. You get someone like Bim Ditson. He's gone on to be one of the stand-out innovators in the Portland music and arts communities. His invention? Rigsketball (and lots of amazing music and chainmail accessories). You might've seen Rigsketball before, especially if you hang around local music venues. There's only one brightly-painted van with a hoop attached. 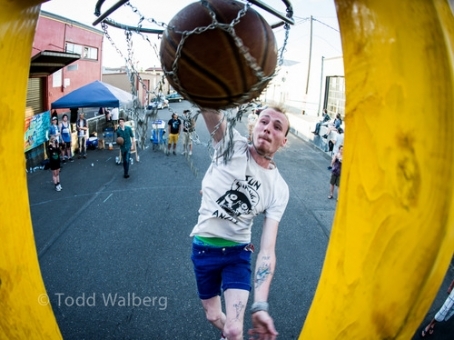 The game is seriously defined as "a yearly bracket style basketball tournament played between Portland bands at locations across the city on a regulation height hoop attached to the back of a van." What happens next? Music. Semifinals and finals will occur in the parking lot of The East Portland Eagles Lodge this Friday, July 25th at 5pm​. 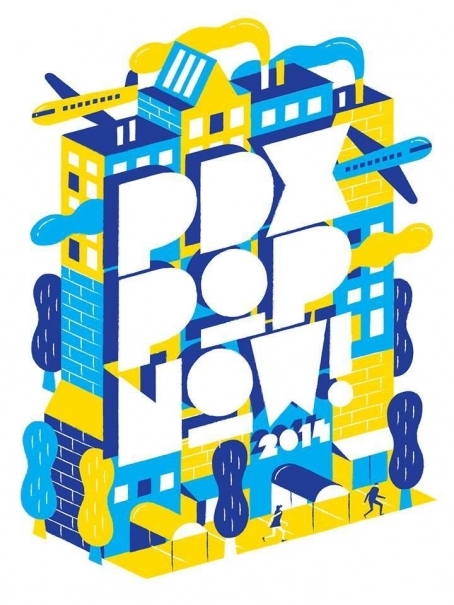 Live performances by six of our favorite Portland artists, Bearcubbin', Sons of Huns, The Ghost Ease, And And And, Talkative and Old Age and they can be experienced between two stages. Everything is free. Everything. See you there. For further inquiries, check out a rad writeup that VICE recently did on the subject, here, or check out this video.